After a trip to the Manchester Christmas Markets - I picked up some nice cheeses at a fantastic cheese stall - amongst which was this smelly delight! 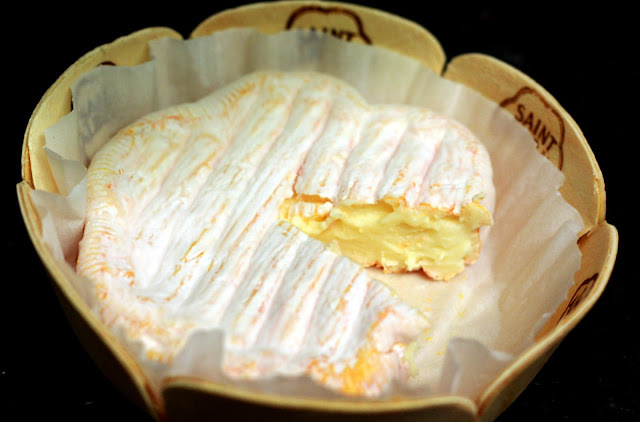 Yes its a real stinker (almost clearing the bus with the smell on the way home), but despite its extreeme odour, Saint Albray is a delicious rich and creamy cheese with a taste not unlike Camenbert. It is produced using pasturized cows milk and formed into a flower shape, and first made in 1976 in the Basque country and Bearn region of southwest France. A very nice if not pongy soft and creamy cheese.